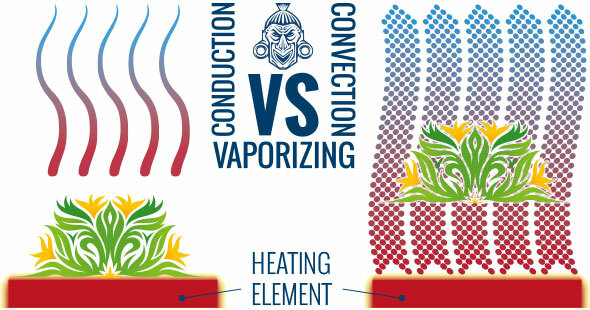 So Exactly How Do Vaporizers Work? First, let us start with the definition of what is a vaporizer? A vaporizer is a piece of equipment that can be utilized to create a vapor of herbal or concentrates type products that can be inhaled. What does this mean? We are heating up the product without using fire to burn the product. The vaporizer will run air through the product to extract the vaporized substance that you can inhale. There are many models out on the market today, which will be discussed in this article, but do note that you have the convection style vaporizers and the ones that operate on conduction. So with the push of a button, a flip of a switch, a turn of a knob you will be vaping in no time. 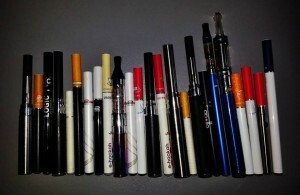 There are many different kinds of vaporizers. Please take into account when looking for a vaporizer, what are the machine and working parts made of? Are you working with glass, plastic, ceramic, or stainless steel? There are five that stand out and are the most commonly used machines in the industry. Let me describe them to you. We have the Whip, Balloon, Portable, Desktop, and Multi-functioning. Let me start with the first: We have the whip-style vaporizer. This one is made up of a cylinder, and a tube that resembles a whip with an attached mouthpiece where you inhale your chosen product. .A more descriptive approach: The whip system is comprised of three components. One: The wand, two: the tubing and three: the mouthpiece. 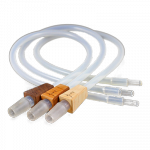 When using this method, these three parts work together to create a solid stream of vapor. 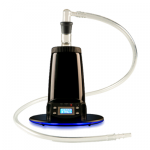 There are many different whip style vaporizers to choose from. Here is a list of the different models you can choose from. You have the Silver Surfer, the Hot Box, the Volcano, the Plenty, the Arizer Extreme Q which can also be converted to a bag style vaporizer if needed. There are many more you can choose from. Please visit our vaporizer reviews tab at the top of the page for more information on the many different choices as well as the reviews written on these products so you can make an educated decision on them. Because the Silver Surfer is highly spoken of we are including some additional facts about this particular vaporizer just for you! Each Silver Surfer Vaporizer comes with a wand, a heater cover and a temperature dial. Each one of these items is unique. None of them are the same!! They are made in Colorado Springs, Colorado, and are hand blown glass items. Each one is a work of art! 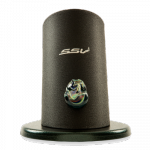 The Silver Surfer incorporates a first-rate heating component made of ceramic, and glass to glass parts for superior vapor consumption. Because this vaporizer uses convection you have much more control over the temperature that is being applied to your product of consumption. Standard Glass: There is no need to stir your product with this choice. You will angle the wand in different positions and this will allow air to pass through your product, thus permitting a clean, even removal of that which you desire! Ground Glass: No hands needed here. There is a tight seal created between both glass parts and it is a great choice in our opinion. Spherical Ground Glass: Speaks for itself! You can position the wand at many different angles thus allowing for greater ease when vaping, and there is no need to stir your product. So you can see, you have many choices here! How does this fantastic apparatus work, you ask? First, you turn on the amazing vaporizer, choose the temperature you would like, and once the vaporizer is at the appropriate temperature you can put your product into the wand and place the wand onto the heater cover. It has been stated that a medium to quick inhale will create great outcomes!!! You can control the temperature by how quickly you inhale. You can choose for yourself, but this particular vaporizer stands above the rest! And now how to use the whip style! How do whip-style vaporizers operate? Whip-style vaporizers are a good choice if you are looking to be in control of the vapor you are consuming. You can take a long draw on the tube after it has been heated by the machine the tube is attached to. There are temperature controls on some of these style vaporizers, which gives you more options in the whole consuming aspect. Next, we will discuss the bag style vaporizer. This is also known as a balloon style vaporizer. With this option, you have the opportunity to see how much vapor is being utilized for you can see it fill up in the balloon itself! 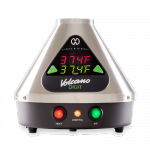 One of the most used and highly loved vaporizers out on the market today is the VOLCANO. This product is one if not the best vaporizer out there at least until the Herbalizer came about! You can also try the Arizer Extreme Q, and for those of us NOT on a budget, you can try the Herbalizer. These are great products, you can also read our Arizer Extreme Q vs Herbalizer Comparison review. For each vaporizer out on the market today there will be pros and cons for each product. It helps to have read about the reviews out there, if you think you may want just a little more information, then the groundwork is done and all you have to do is vape! How do balloon style vaporizers operate? First, you attach the balloon to the tube, turn on the machine. Allow it to heat up and then the hot air is passed over the product and fills a balloon up with the vaporized product. Once this has happened, you can consume the vapor and enjoy! They are great when you are vaping with a group of people. The vapor product in the balloon does not go stale, and therefore can be utilized by many, or just by one in a slow steady process! When you are vaping, the room does not fill with a ton of smoke either. You just have the vapor to be concerned with! This is a great choice if you are working to conserve your product, and you are in a room with all your buddies! You also have the portable options to choose from. This style of a vaporizer is highly spoken for due to the fact that you can take these vaporizers anywhere. Not only can most of them fit in the palm of a person’s hand, but they operate on batteries and are easy to hide or be inconspicuous if the need arises. One of the important aspects to consider when purchasing a portable vaporizer is the battery size and battery life. This will be your only restricting factor when using a portable vape. You have many different choices when you are deciding what kind of battery to purchase. Take into account the size of the battery and how much power it can offer you, as well as the defined battery life. With today’s technology, there are some really great choices out there. Some of the most spoken about of portable vaporizers are the PAX, the DaVinci, Iolite, Magic Flight Launch Box. How do these portable vaporizers work? There are two ways that these great vaporizers operate. First, you have the kind that works by conduction. Easily defined, this means the plant matter you are vaping is heated by something that has already become hot. One major downer with this is sometimes the product becomes too hot, and therefore sometimes reaches the point of combustion, which is the main reason we vape. We don’t want the combustion to happen! For the reason that we are working to avoid inhaling the by-products of the combustion, we choose to vape! This is an older not so conventional way to vape but tends to be a little less expensive. Let’s look at the other option. This is the style of convection. This is where hot air has been pushed over the material so that it can become hot. The heated air is a much better way to receive an even amount of vapor and you often have more options to control the temperature with which you are vaping. With the new technology that comes with the convection style options, you may also see a price difference with these models being a slight bit more expensive. I believe health matters and sometimes you got to pay a little more to be healthier… Here is a picture I found that gives you an idea of what the difference is. The key to portable vaporizers is figuring out what kind of draw you want to take on your machine. This fact will determine which vaporizer you choose and will satisfy your inhalation desires! For each different vaporizer offers a different draw option and different level of consumption! We have plenty of reviews for great quality portable vaporizers on this site as well. And last but not least you have the multi-functional vaporizers. So how do the multi-functional vaporizers work? The word itself: Multi-functional describes the vaporizers capabilities of having the option to do many different modes, meaning that you can choose to use three different kinds of product. Pop on and pop off atomizer for each option: E-liquid, dry herbal product, and concentrates gives you the choice and option to consume all three of these choices. These 3 are excellent choices of the multi-functional vaporizers out on the market today: The Plenty, the Magic Flight Launch Box, and the Herbalizer (otherwise known as Herbie). Let me not fail to mention, within all these different categories, you also have the option with some of these vaporizers to purchase those that are titled desktop vaporizers. These are stationary vaporizers that you place on a desk or table and aren’t as transportable as others. You will usually need to have an outlet to plug it in but some also come equipped with rechargeable batteries. Are you familiar with how e-cigarettes work? There is the Tank or Cartomizer(cartridge) that connects directly to the battery. This is where the flavor of your choice is stored. It holds the liquid nicotine. Next, you have the Atomizer which is where the e-liquid is heated and is vaporized, by an electric coil inside the cartridge. Below that you have the rechargeable battery which provides the power for the vaporizer. The liquid that goes in the e-cig is usually made from a mix of propylene glycol, vegetable glycerin, nicotine and your flavor of choice! You can find different strengths of nicotine and even liquids without nicotine to suit your needs. Just to mention, there is some controversy out in the news these days about these products. The FDA is working on regulation around these products. If you are concerned or curious please refer to our articles “E-Cigarettes or Vaporizers: A Good Idea or Not?” and more recently “Deadline Missed for FDA E-Cigarette Regulations!” for further explanation and descriptions of the ongoing situation. 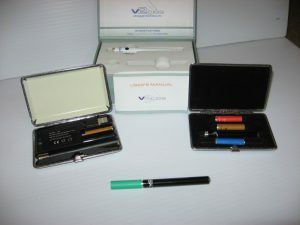 One of the best choices for an e-cigarette out on the market today is V2 Cigs. It is a great choice because it can allow you to “smoke”, or actually “vape”, on the E-Cigarette for approximately 360 puffs. If you were to compare this to regular cigarettes, this is equal to about a pack of smokes. So not only are you saving money, but you do not have all the bad qualities that come from “real” cigarettes. Just to mention a few: the leftover remains of the cigarette, the offensive smell that accompanies the action of smoking, your health, and the outrageous prices! Were we thorough enough? We hope so! So, in conclusion, there are many different kinds of vaporizers for you to choose from ranging from desktop varieties to portable devices, and you have options to customize many of these to suit your needs and desires. Please feel free to contact us if you have any questions or comments. Thanks for viewing and have a great time vaping! Ugh, I never realized that vaporizers were so complicated and that there were so many different kinds… clearly I still have a lot to learn.